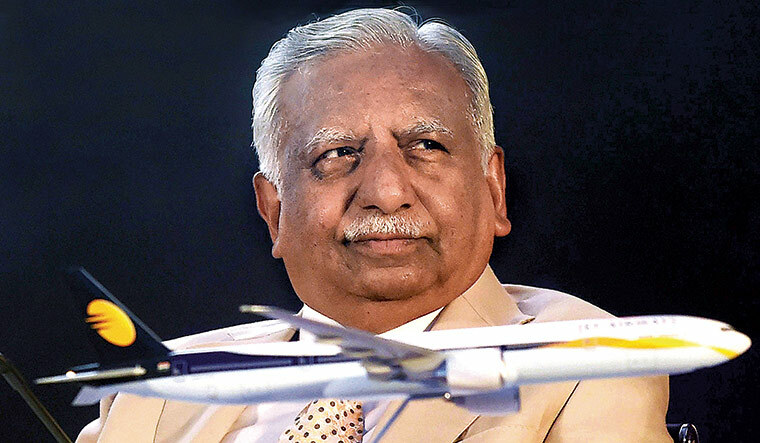 MUMBAI: Jet Airways founder Naresh Goyal rose from humble beginnings to be undisputed king of India's skies. But now, at 69, massive debts have forced him to cede control of the pioneering airline he founded. Goyal stepped down as Jet chairman Monday and quit its board as part of a rescue plan for the beleaguered carrier, marking the end of an era in Indian aviation. "For the past 25 years, Jet Airways has been a way of life for me," Goyal said in an email to Jet customers on Tuesday. "I would be lying, if I said this was not an emotional moment for me," he added. For the past 25 years, Jet Airways has been a way of life for me. I would be lying, if I said this was not an emotional moment for me. Goyal was born in Punjab state in 1949. His childhood was marked by financial hardship after his jewellery dealer father died young. The future entrepreneur started his working life by selling tickets in his uncle's travel agency, making just 2,300 rupees a month ($33.40) in today's money. There was little to suggest the fame and fortune that would come. After a stint working as a public relations manager for Iraqi Airways, Goyal worked as a regional manager for Royal Jordanian Airlines and Philippines Airlines in the 1970s. Back then, India had just two airlines; both of them state-owned. It was the opening up of India's economy in the early 1990s that would change Goyal's life forever. In 1993, he launched Jet Airways after the Indian government passed a series of reforms designed to make the economy more market-driven. The Mumbai-based carrier quickly gained a reputation for introducing new initiatives — Jet was the first Indian airline to offer a frequent flyer programme and in-flight entertainment. "Goyal did pioneering work in Indian aviation," industry analyst Amrit Pandurangi told AFP. Jet generated big profits and saw soaring passenger numbers as other private carriers, including Damania Airways, East-West Airlines and ModiLuft went bust. "When competitors were buying older Boeing planes because they were cheaper, Goyal bought new ones that were more expensive but cheaper to operate," Devesh Agarwal, editor of the website Bangalore Aviation, told AFP. "He realised that capital costs were less important than operational costs, which saved Jet millions of dollars," Agarwal added. In 2005, Forbes said Goyal was worth almost $2 billion, making him the 16th richest person in India, but his fortunes were about to take a sharp downturn. The budget carrier was rebranded "JetLite" but it haemorrhaged money and in 2015 Jet wrote off its entire investment. By then, Jet had already been rescued by Abu Dhabi-based Etihad with a $600-million capital investment as it took a battering from new, well-run budget airlines including IndiGo, GoAir and SpiceJet. "When low-cost airlines became the norm, Jet continued to operate on a full-service line. Unfortunately towards the end Goyal could not keep up with a significantly changing aviation sector and business environment," said Pandurangi. Jet has also been hit by fluctuating global crude prices and a weak rupee. It has debts of more than $1 billion and has failed to pay staff on time for several months. But the crisis further deepened due to a stalemate in talks between Goyal and lenders, including major stakeholder Etihad. The stalemate was attributed to Goyal's refusal to give up control of Jet. With that now resolved creditors are hopeful that India's once second-largest carrier by market share can be saved — but with the founder no longer in the cockpit.